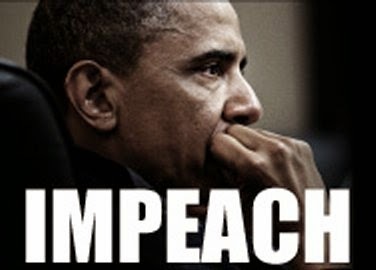 Please visit the Obamacrimes website! Hey all! 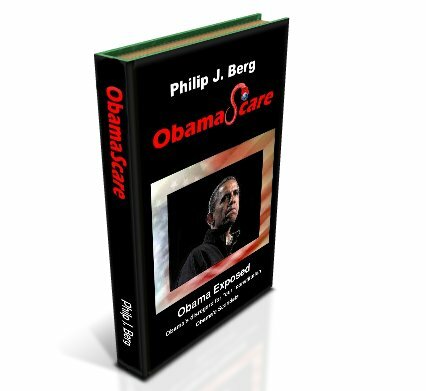 Please stop by Phil Berg;s website - search it on Google, Bing and Yahoo and check out all the pages. He needs your help - just got off the search engine black list (from when his previous site was hacked) and need a lot off people to search the site or just go to it to get back in the rankings and be found again! Tell all your like-minded friends as well. Thanks! The surest way for the Republican Party to lose the 2016 election is to nominate someone named Bush. Jeb Bush may be a nice guy and an adequate governor, which is far more than we have in the White House at the moment, but the American voters are sick of the Bush family, even if the Republican establishment is not. The press seems to be trying to pre-ordain Jeb Bush as the 2016 Republican nominee, for exactly this reason: He would be easily defeated by the Democrat, no matter who he or she is. Second, anyone who looks upon Common Core standards with anything other than revulsion is not a conservative, and the only way for the Republican Party to win a national election is to move to the right and offer the voters a distinct choice between left and right. Voters stay home if they are given the choice between bad and worse, especially when both parties' nominees are permanent fixtures in Washington. Jeb Bush is in the news every day, which is somewhat suspicious, since he hasn't even declared his candidacy. Please visit http://akdart.com/rino.html#jeb for more information and links! Please follow these links for full information - MANY links - well worth visiting! "President Obama won the 2008 election, even though his beliefs and political positions were all but completely unknown to most Americans. He is a man with no great record of accomplishments in the Senate, or anywhere else, yet the national news media constantly gush over him. Seldom is heard a discouraging word about the man, even though nobody really knows what he stands for. The only thing that distinguished him from the rest of the Democratic front-runners (in the eyes of the media) was his ethnicity. Apparently that's all it takes. Mr. Obama has never managed a business of any kind, nor has he ever worked in a for-profit environment. He appears to abhor the concepts of monetary profit and capitalism. His only management positions have been in organizations that give away other people's money, such as the Woods Fund and the Chicago Annenberg Challenge. He has never served in the military (for which the news media would never forgive a Republican candidate). His only leadership skill is his ability to read a teleprompter — without which he is completely lost. During his campaign, enthusiastic crowds of Obama fans cheered as he promised to have the federal government pay for medical bills, cheap and abundant energy, college tuition, and a long list of other goodies. Very few of them gave the slightest thought about who would ultimately pay for it all. Upon close examination, his speeches are full of empty promises, self-contradictory claims, and flag-waving rhetoric. And it's not necessarily the American flag he's waving. In the 2008 presidential campaign, John McCain was afraid to bring up any of the subjects listed below, but I'm not." The "BAD" from the Baltimore Sun, Good, Bad and Ugly side of the Obama regime! The redistribution-of-wealth initiative popularly known as "Obamacare" now applies to every American. Most of you have not heard much about the scope and variety of the new taxes contained within Obamacare's 11,000 pages, but you are about to receive a serious reminder. So serious, in fact, the National Bureau of Economic Research informs us that the 22 new and expanded taxes contained in the health bill will push marginal tax rates for medium income households to 50 percent — and almost exclusively targeted to those who work, produce and employ. And now comes more bad news for Obamacare apologists: A bill that was originally projected to cost less than $1 trillion in 2009 is now projected to cost $1.8 trillion and increase the long term federal deficit by $6.2 trillion, per the Government Accountability Office. And that promise of a $2,500 per family savings is nowhere to be found. I will not (again) chronicle the myriad other deficiencies of the legislation that has brought the president's job approval and personal integrity numbers down to Nixonian levels. Suffice it to say the negligent overselling of a complex bill that has cost millions of Americans their doctors, hospitals and health insurance plans culminated in the awarding of the "Lie of the Year" designation by PolitiFact. On the foreign policy front, the "willing to negotiate with any rogue regime" Obama administration has never overcome its inclination to subordinate the facts of recent history with its desire to strike a deal with the Iranians. Fortunately, this is one instance where the wishful thinking crowd may not prevail; there are plenty of U.S. senators (from both parties) intent on negotiating with the world's leading sponsor of terror and serial violator of arms control agreements from a position of strength. These leaders have not forgotten that bad guys (especially bad guys under pressure) regularly violate international agreements in order to buy time to achieve their nefarious goals. One thing we know: Benjamin Netanyahu cannot afford to indulge the administration's "trust first" approach — just too much downside for his embattled country. In a related mess, the amateur hour known as American policy in Syria has strengthened the murderous regime of Bashar Assad and further degraded pro-western elements of the rebel forces. At least for the next three years, U.S. "(red) lines in the sand" will be seen as unserious — a dangerous place for a superpower to find itself. Contributing to the president's poor approval ratings is the notion that this lame duck White House tends to make it up as it goes along. And a weak staff appears unwilling (or unable) to tell the Emperor when he has no clothes. Politically motivated IRS investigations? Never heard of 'em. Justice investigation of a Fox News reporter? Ditto. Fast & Furious? Blame it on Bush. Phony cover story to explain Benghazi? "What does it matter?" (That one courtesy of the former secretary of state). 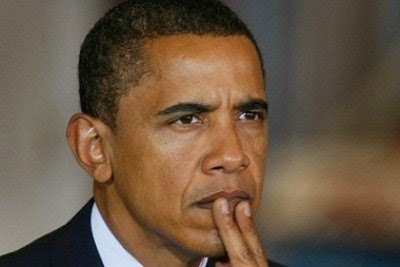 Recess appointments while Congress is still in session? No problem. Waiving/extending statutory deadlines and granting waivers to politically favored groups? You betcha. Unilaterally changing immigration law prior to an election? But we needed the Hispanics on election day. Amending the Senate filibuster rule in order to secure activist judges on the nation's second most important appellate court? Priceless. You may not have realized this, but our first amendment rights have been taken away yet again! for some time there have been restrictions placed on taking photographs in National Parks and at National Monuments and government facilities. Just recently we have had several instances locally of photographers being reprimanded and being forced to delete their images for taking photographs of a local nuclear facility from almost 5 miles away! Finally a bill has been introduced to stop this! Please support H. R. 5893 and save our first amendment rights! Stop the proposed fuel tax! Just to show you that I am non-partisan on important issues, here is one loser republican who is actually considering cranking up the fuel tax, rather then working to tighten wasteful spending! Tell John Thune that we won't put up with any more tax increases!